Jollitown season 4 welcomes kids and kids at heart with a day of time traveling adventures! If Disneyland is the happiest place on earth, well, Jollitown is surely the jolliest place in the world! :) It is a town filled with games, adventures, and surprises! 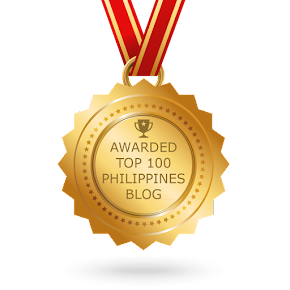 And I'm so glad I am one of the few chosen bloggers who were given a chance to take a peek of the 4th season of Jollitown. 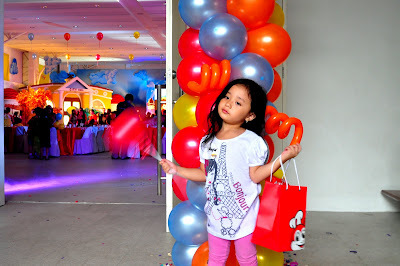 Held at White Space, Pasong Tamo last July 9, this media launch was attended by the Jollibee family, the media partners, and adorable kids and their parents. 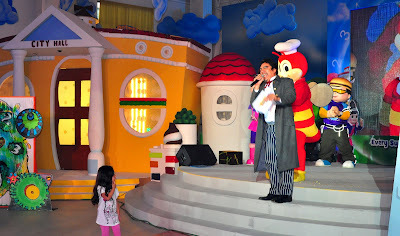 My daughter, Maia, had so much fun and she also got the chance to meet the cute beloved characters of her favorite TV show starred by none other than Jollibee and the gang! This time, the adventure and learning is more fun and exciting as Mr. Q started the program and showed us the wonderful neighborhood of Jollitown. Returning with whole new characters and time traveling adventures, Jollibee and friends offer fans a preview of the new exciting season with a day of colorful festivities, games, and loads of awesome surprises. 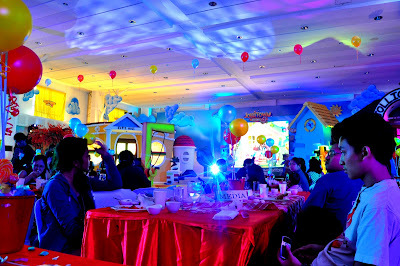 “With Jollitown, it has always been our goal to entertain and impart values to children. 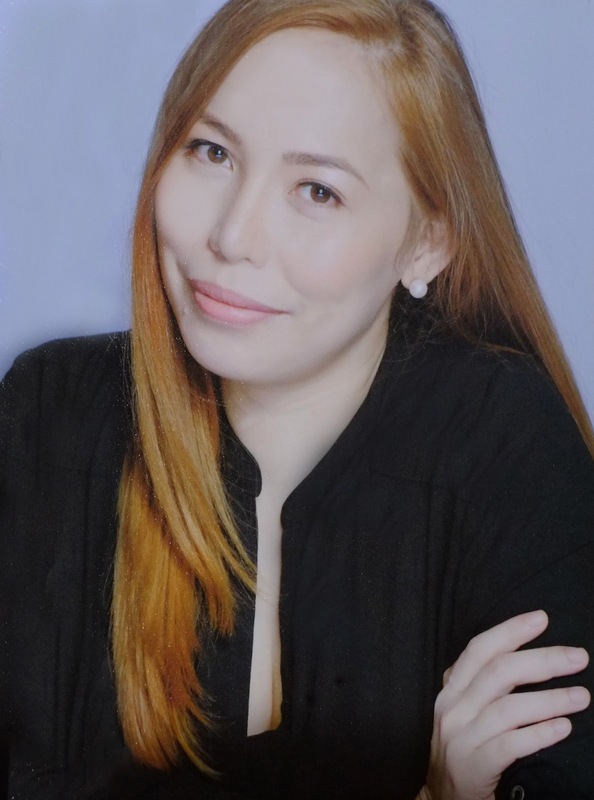 To further strengthen this endeavor, we made the new season even more dynamic and fun to effectively reach out to the show’s young audience,” says Twinkle Aniceto, Jollibee brand manager. The event’s highlights takes off from the plot of the new season. 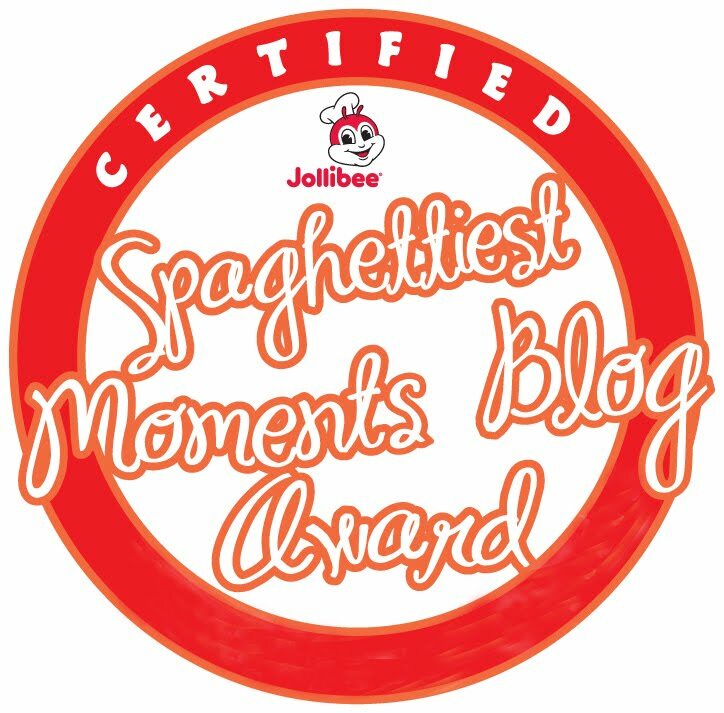 The magical clock tower DingDangDong is broken and it’s up to Jollibee and friends to put him back together. Along theway, they meet new characters such as the futuristic Mr. Tom Morrow. With his robots accidentally out of control, kids and parents spent the day helping rebuild Jollitown as they play a ton of fun-filled activities. Participants had a fantastic time with the unique games where they got a first-hand experience of what it’s like to be in Jollitown. 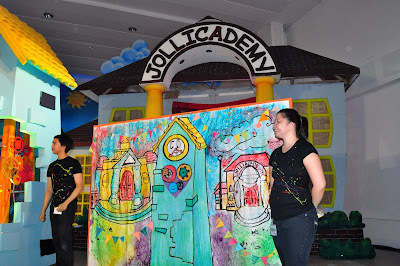 Another highlight was the interactive and awe-inspiring “art” performance by the My Masterpiece Movement, as they drew and colored Jollitown to life and took the guests to a mesmerizing time-travel journey. “More than developing the kids’ skills, the activities are really about helping one another. And that’s also what we want to show in this new season of Jollitown. We want to continue helping parents impart good values to their children,” shares Coleen Niguidula-Ducusin, Jollibee marketing manager. Capping off the day of fun and excitement, the enthusiastic kids were treated to an entertaining performance from the talented crew of Jollibee, Popo, Hetty, Twirlie and Yum. Kids will truly be up for an adventure-filled season as they catch their beloved characters onscreen travel across time to help a friend. 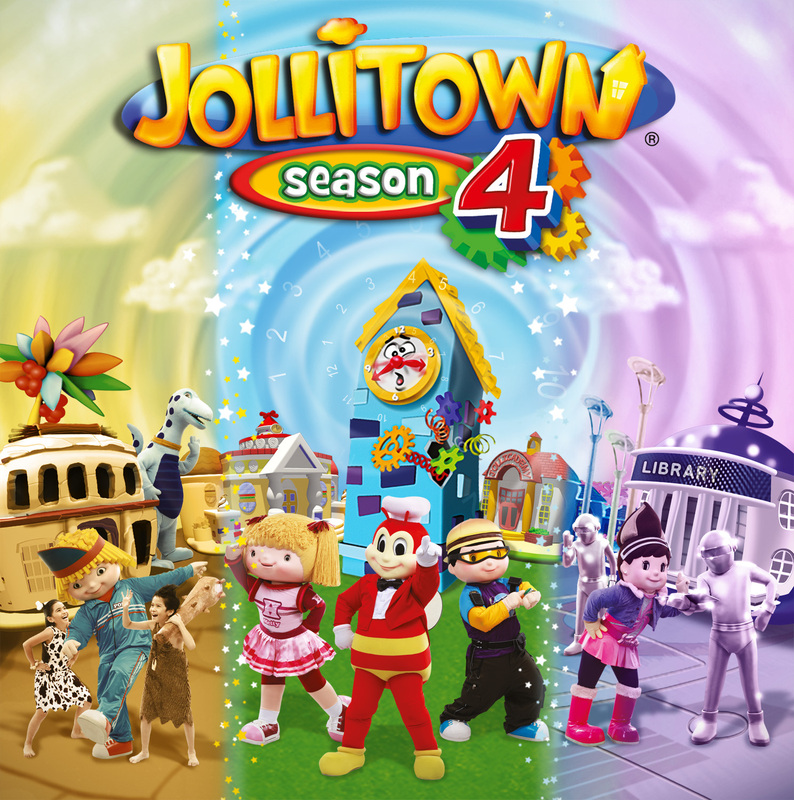 With new characters, amazing musical numbers, enchanted travels, and cool learnings, Jollitown season 4 will definitely be a kiddie must-see. 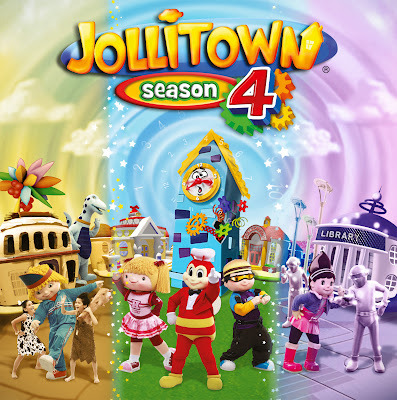 Starting July 17, Jollitown fans can catch their favorite jolly characters at a new home and timeslot. 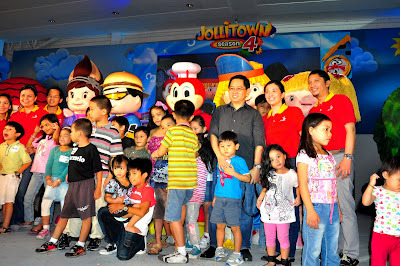 Join the delightful gang of Jollibee and friends in Jollitown season 4 as it airs on ABS-CBN every Sunday at 9:00 am.